Cosmetic Bonding is a simple, quick fix for chipped, slightly misaligned, or slightly imperfect teeth. In just one appointment, cosmetic bonding can correct small dental problems in a very efficient manner. Although this process only lasts five to ten years with proper care, it is a fine alternative to porcelain veneers. The process begins with the staff at Frankel Dentistry applying a coat of liquid composite resin. This material will have been carefully shaded to blend as seamlessly as possible with the color of your other teeth. Next, the surface will harden. 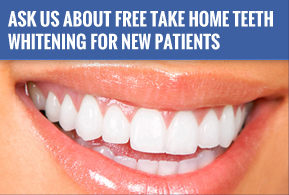 At this point the staff at Frankel Dentistry can sculpt it into an ideal shape for your particular mouth and teeth. Once it is shaped, the resin will be polished, and your smile will be improved dramatically. Although we guarantee your satisfaction, there are a few important details to keep in mind before choosing cosmetic bonding. First, even with immaculate care, cosmetic bonding is not a permanent solution, and its effects tend to wear off in about 5-10 years. Secondly, unlike porcelain veneers, cosmetic bonding stains over time. Depending on your lifestyle, this resin may no longer blend with your natural teeth.